NPBFX, regulated and authorized by the IFSC of Belize, offers a $20 No Deposit Bonus to all its new clients with no prior trading activities on their real trading account. The clients can trade with the bonus on CFDs and currencies to make a profit. The necessary info on the personal account should be filled out and verified. The clients are required to trade at least ten standard lots to be able to withdraw the bonus as well as any profit made by the bonus (via e-wallet or bank card). Moreover, for the second or any other transactions regarding the withdrawals (bonus or profit) the clients are to pay fees. Just go through the following steps: firstly, verify your personal information in NPBFX personal office and open a Master USD trading account with the leverage up to 1:200. 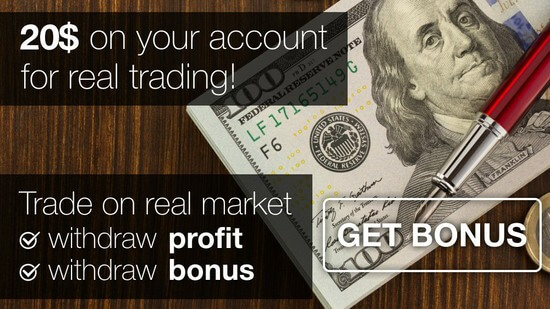 Secondly, contact info@npbfx.com providing the number of the trading account for receiving the bonus. Finally, start trading via the MT4 trading platform to make a profit. Participation in this promotion disqualifies clients from partaking in other promotional activities. Get npbfx $20 Free Bonus Now!